Dec 30th Call for Doctor Who volunteers! Greetings! I bear good news! 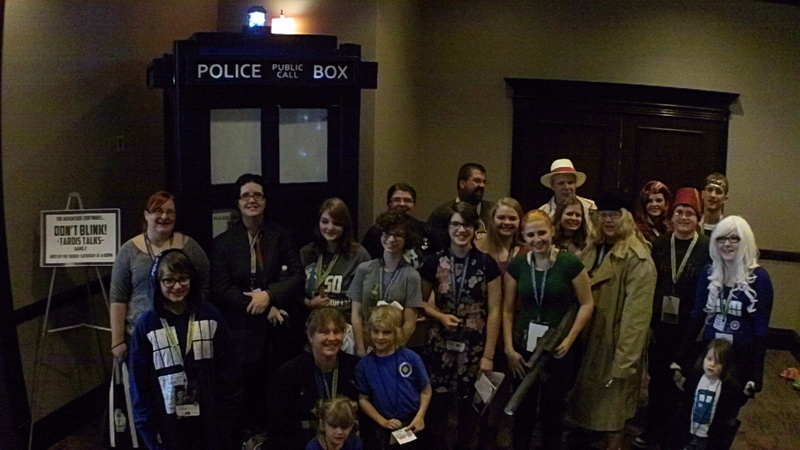 Yes, our efforts as the Gamemasters of Gallifrey running the TARDIS game has earned us another invitation to the WhoFest in Dallas on 24APR15. This time, we will have more time for planning and preparation. So we’ll be adding some dimension to the game this year, more interactive and awarding the odd medal here or there for exceptional players. 7 NPCs – In game characters who need some acting capability and the maturity to stay ‘in character’ for the whole game (2 hours) . Some characters will be kind, some maniacal, some dead serious UNIT staff, and one convincing Brigadier. 1 Volunteer co-ordinator – Offload volunteer co-ordination from our feeble shoulders. 1-2 Sceneographers – Someone whose job is to add depth to our game by dressing up our UNIT HQ room. This will require us to talk weeks in advance and tell us what we need to buy. 1 Floater – someone to help our with anything that the Gamemasters need, from securing pens, to logging times during the timed game. 1 Videographer/photographer – We’d really like to videotape the game next year and make a snazzy video. 2. Volunteer for 1 hour at minimum, but the cool games will need 2 hour minimum commitment. 4. NPC actors will need to be able to adlib parts true-to-character where we have no script and the players ask something weird. . 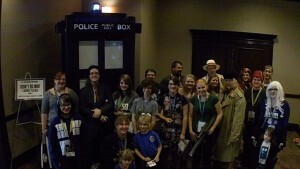 If you are game to help out with our TARDIS game, contact me on my contact page! We have created a TARDIS game design page for explaining what will happen at the game. As well as a TARDIS Game NPC guide. Invitation to the Lunch pizza party for the winners, and the gratitude of the Gamemasters. 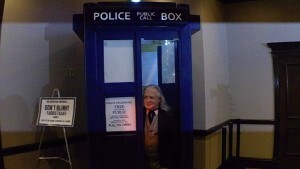 You also will be permitted a photo while standing in our TARDIS, something we normally don’t allow. And any volunteers will be on the short list for volunteering with us at other Cons we may go to, like Comicon. 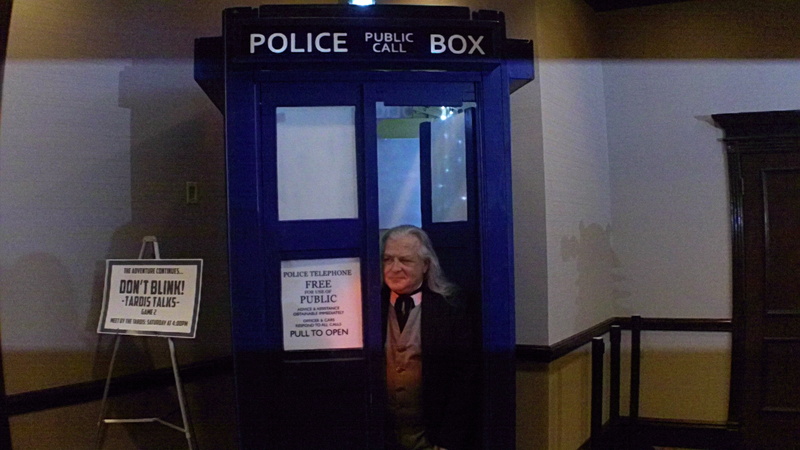 Posted in musings and tagged doctor who, TARDIS Game by admin with comments disabled.